Transitional tassels: from winter to spring! Cooler temps put me in the mood for a cozy sweater, lots of hot tea, & tassels of course! 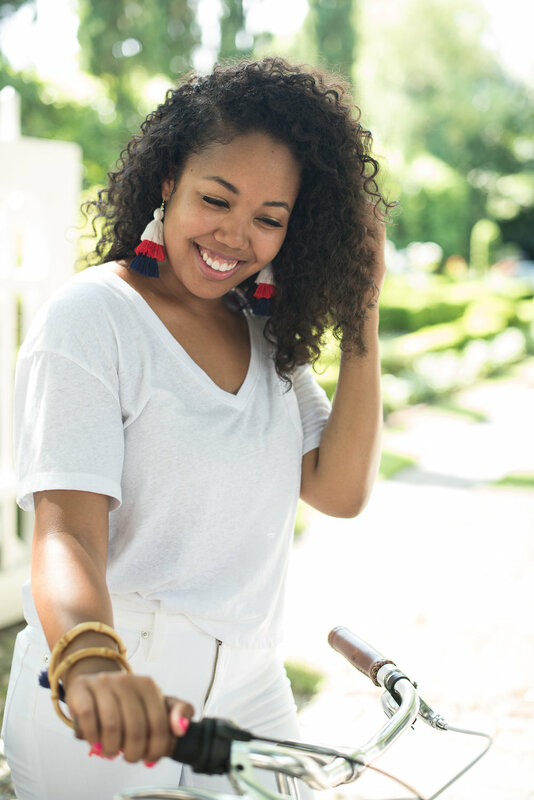 Our Bennett tassel earring is the perfect pop of tortoise to bring in a little color to any outfit all year ‘round. 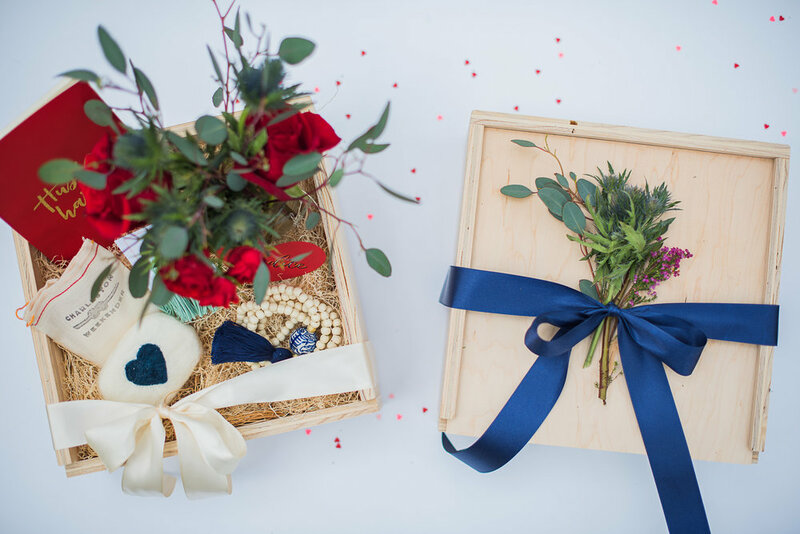 Randi from With Love Travel Co offers boutique travel planning with a fun box of goodies shipped to each of your guests- how fun right?! 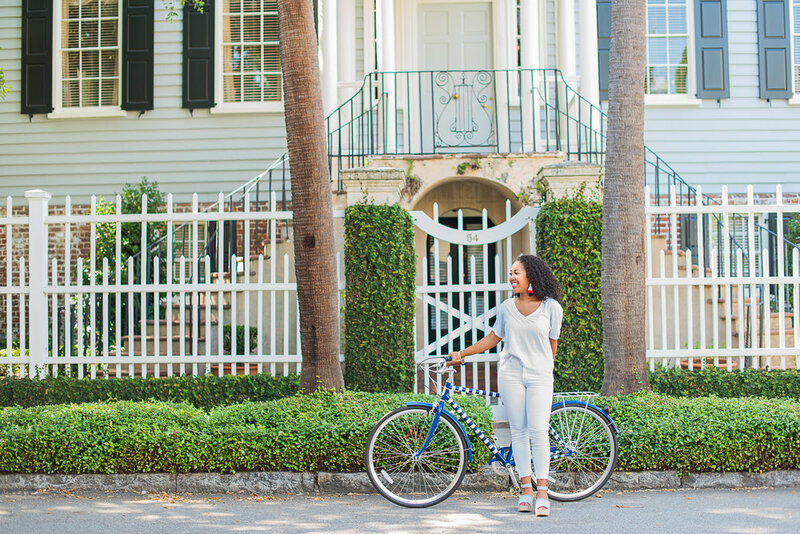 Now that her business is in full swing, we know that lots of bachelors & bachelorettes will be enjoying her services this Spring in Charleston! Cocktails topped with burnt rosemary, The Park Cafe really knows how to serve a pretty & delicious drink. Pictured above are our new Amherst & Percy tassel bracelets. We've had these beauties on repeat all week-love our new Devereaux tassel earrings! 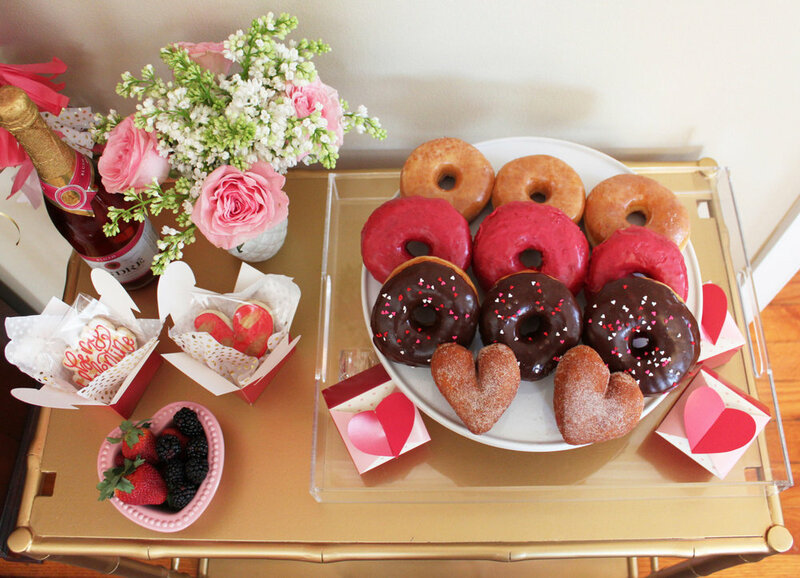 Donuts, galentines & tassels, oh my! Last weekend I gathered a few girls and some sweet treats for the yummiest Galentine's gathering! Fresh florals, cocktails & custom cookies made this day even sweeter! Frampton's of Charleston have the most gorgeous blooms & their arrangements are just stunning! I'm still daydreaming about these beauties! The most gorgeous custom cookies blew me away from Cookies by Cat of Columbia, they were just too pretty to eat! Her Valentine's design were so detailed and delicious too. For a sweet sip, we mixed up a raspberry love potion with Jackson Morgan Cream! We mixed up their Salted Caramel Southern Cream along with a raspberry liqueur & garnish it with fresh strawberries & blackberries. It was the perfect pink drink! How cute are these minis from Jackson Morgan?! They made for the perfect valentine's for each girl and we added a tassel, of course! Paired with these classic monogrammed cocktail napkins from South of Libbie, it's a gift that each girl could treasure in their home forever. Sugared, chocolate dipped & glazed are just a few of the delicious flavors from Glazed Gourmet. Their raspberry donut is by far my favorite! Every gathering needs fun balloons and sweet treats! Our treat table was sure to give you a sugar fix! From waffles dusted with powdered sugar to homemade biscuits from Callie's Hot Little Biscuits, I wish this could be my brunch setup every Saturday! Missed some of your gals? These simple but sweet Galentine's cards from Anson Paper Co. are sure to but a smile on their face! Snail mail is the best mail! I wish Galentine's Day was more than once a year, we shouldn't need a holiday to get the girls together for a day filled with sweet treats! So thrilled to have been featured on Glitter Guide! Here's a few more peeks behind the scenes that made for the best Galentine's Get together! We came bearing all the tassels, of course! Liz from The Charleston Weekender put together this amazing shoot & here's a list of all the amazing makers who made it happen! LOVED this gorgeous hand lettered place setting by The Town Serif! The most beautiful blooms from Frampton's Flowers! Y'all, I'm still daydreaming of this beautiful day! It was so much fun spending the day with these lovely ladies! Seriously, when this much talent is together you know you're making something wonderful! The Tiny Tassel Garments Are Here! I am SO excited to share our new garments with y'all! 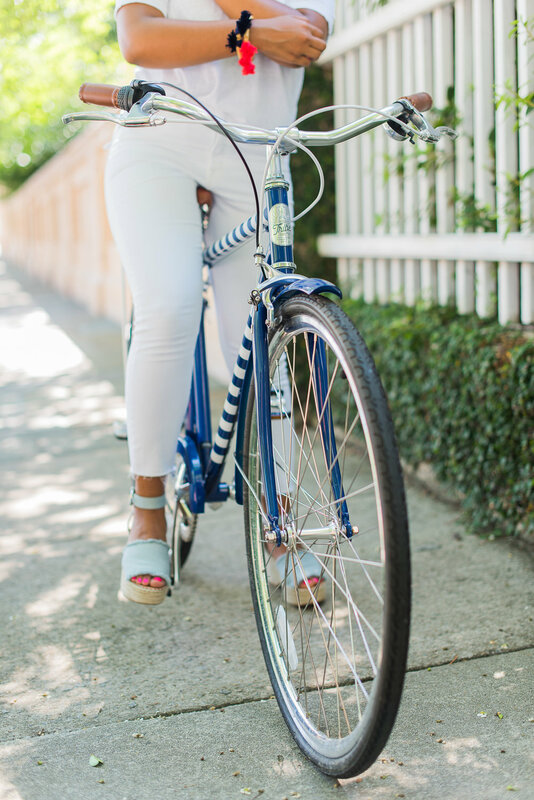 All of our pieces are inspired by Charleston, think gingham meets ruffles meets southern chic. Each of the garments are handmade in NYC by our awesome designer aka MOM! It's been wonderful working with my mom on this fun new project, from selecting designs to picking there perfect gingham check. We've picked our favorites and hope that y'all love everything! We're offering lots of off-the-shoulder, ruffle, gingham, & bright colors this season! Our hope is to spread a little happy all while helping you feel great in what you're wearing! Whether you're wearing our effortless Legare dress or giving a little cold shoulder with our Tradd top, we know you'll love these comfortable and easy looks! We want to hear from y'all! What colors are we missing? Any styles that you absolutely love? What would you like to see more of? Let us know! I'm Mimi, the Tiny Tassel Connoisseur! 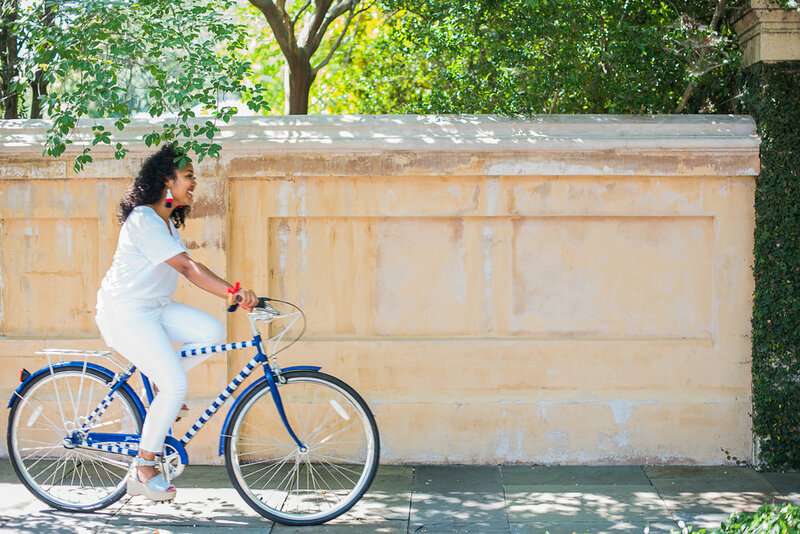 I was born and raised in Spartanburg, South Carolina but have called Charleston, SC my home for the last 7 years. Growing up my family visited Charleston every summer so it's always been a special place to me. Naturally, I attended the College of Charleston and studied Corporate Communication. My time at the college taught me many things and I'm so happy to continue to call Charleston my home! After graduation, I managed a luxury menswear shop where I learned the day in and day outs of running a retail shop. 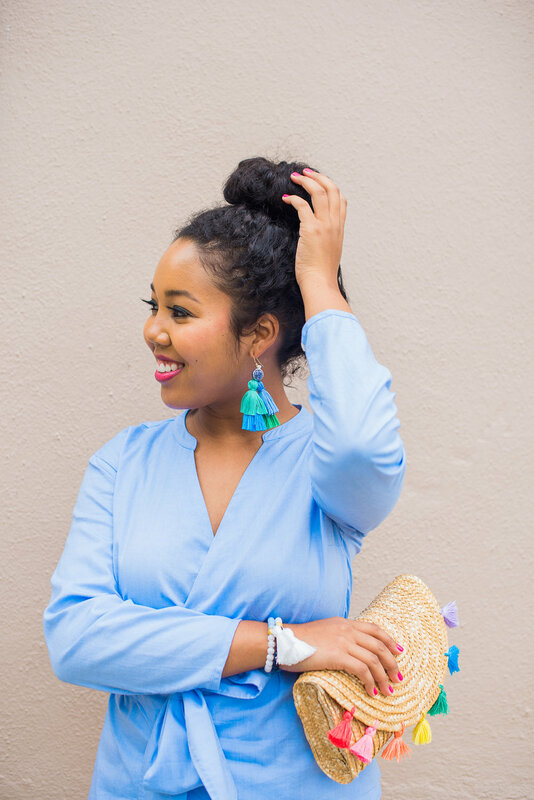 As I began my journey with The Tiny Tassel, I started to really push myself to grow my business and eventually was able to take this on full-time! I am so grateful for everyone that has supported my little business! I am ecstatic to share that The Tiny Tassel is now in 16 retail shops across the US and growing more and more everyday.